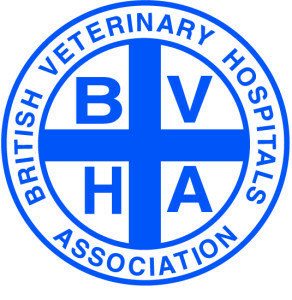 Quantock Veterinary Hospital is an accredited Royal College of Veterinary Surgeons (RCVS) ‘Small Animal Veterinary Hospital’ and a member of the British Veterinary Hospitals Association. 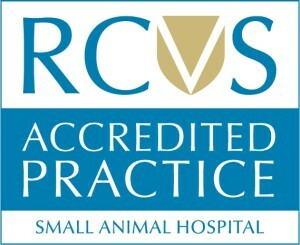 “Small Animal Hospital” is the highest standard of veterinary practice accreditation and is currently only achieved by 7% of accredited veterinary practices that are part of the RCVS Practice Standards Scheme. 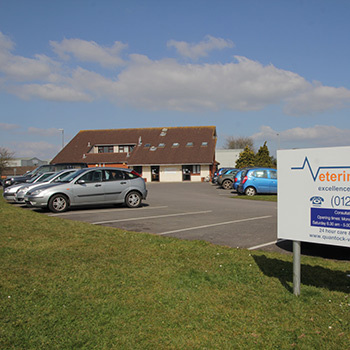 The accreditation requires the highest standards of veterinary facilities; we are proud that our excellent range of facilities meet this high standard. The Hospital has a very large and convenient free car park with space for plenty of vehicles including reserved spaces for people with mobility issues. The practice is on ground level so offers easy wheel chair access. We have a bicycle rack for those who cycle. Adjacent to the car park are grassed areas that allow for dog walking with poo bin provided. From the car park, entry to the Hospital is made via the Waiting Room or Reception and Accounts. You enter the Hospital via either of our Reception desks. 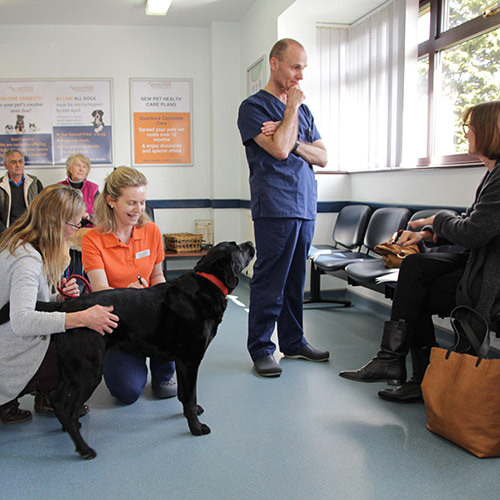 One is located in our Waiting Room to meet you on arrival for an appointment; the other is located in the accounts and shop area where you may pay bills and make account queries, collect prescriptions and orders, purchase items from the shop and make appointments. The Shop is situated in the Accounts Reception area where we sell a carefully selected range of pet food, toys and other pet care products. 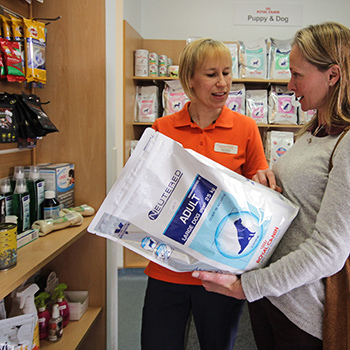 We stock products and food for dogs, cats, rabbits and small mammals. In addition to the products we stock, we can order a huge range of other products, which are usually delivered within 24 hours. 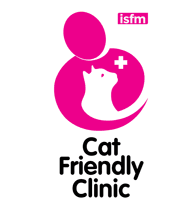 The Waiting Room has a large seated area for owners and their dogs and a separate, International Cat Care approved area for cats (and other small pets) with a table for carriers and optional carrier covers available to help reduce pet stress. Adjacent to the waiting areas is a Quiet / Therapy Room. The Waiting Room is equipped with large low profile weigh scales for dogs and ID chip check facilities. 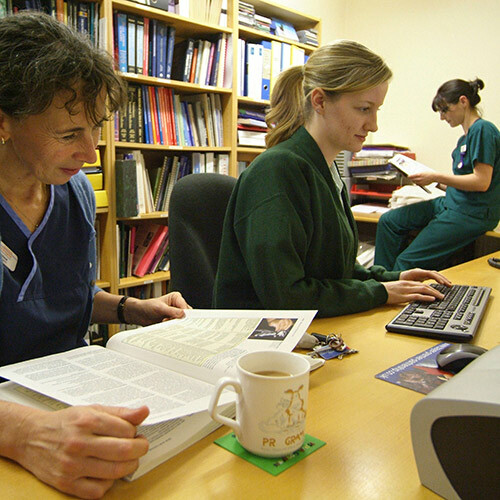 Our four modern consulting rooms are spacious and comfortable for our patients and clients alike. 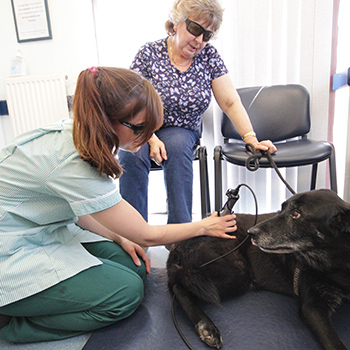 Fully equipped with accurate small pet scales and modern examination equipment, our consulting rooms are located close to our pharmacy and dispensary for quick and convenient service to our clients. The Hospital has a fully equipped modern x-ray suite with a powerful x-ray machine able to take high quality x-rays of all our patients from the very small to the very large. Digital technology allows us to view, enhance and record all images digitally. 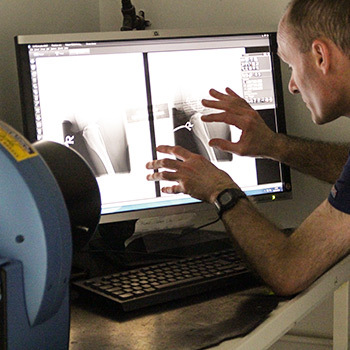 The digital technology combined with a moving x-ray table-top allows us to perform x-rays quickly, and efficiently delivering high quality results every time. 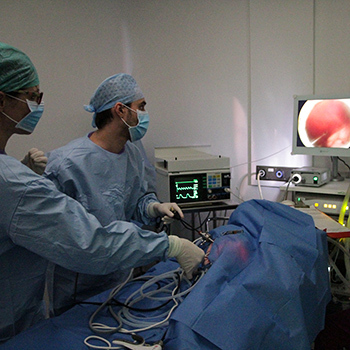 Our state of the art ultra-sound scanning machine and video endoscopy equipment is used here. 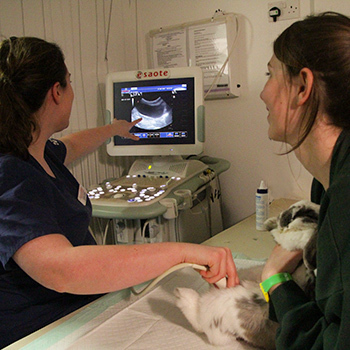 This room and specialist equipment is used for simple procedures such as pregnancy scanning through to advanced diagnostics such as airway and gastro-intestinal tract imaging and heart scanning. In addition our full range of chemotherapy and cancer treatments are administered in this facility. 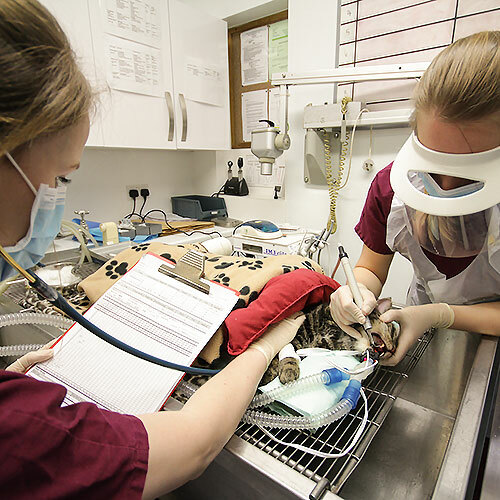 We have a modern dental suite equipped with sophisticated equipment and tools to help diagnose and treat dental disease in our dog, cat, rabbit and small mammal patients. Our equipment includes a dental x-ray machine, high and low speed power tools, an ultrasonic de-scaler, polisher and a full range of instruments and materials for dental treatments, extractions and restorative procedures. 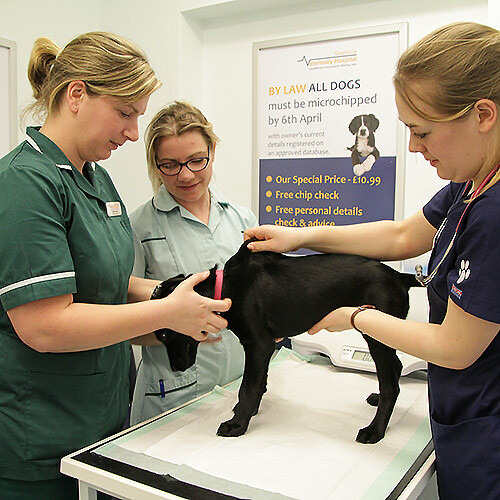 Our two fully equipped positive pressure operating theatres are fitted out with the latest equipment to perform a comprehensive range of soft tissue and orthopaedic surgery on all types of pets from the smallest to the very largest. State of the art laparoscopic (key hole) surgical equipment, power tools, operating microscopes, electro-surgical equipment and patient monitoring equipment allow us to deliver the highest quality and safe surgery services to our patients. A spacious, comfortable and quiet room for Laser therapy, Physiotherapy and Acupuncture treatments. Our state of the art Class 4 laser therapy unit is located in this room, and is used for the treatment of post-operative pain/inflammation and many acute and chronic medical conditions. We work with some carefully selected Specialist Partners who use this facility to treat our patients using physiotherapy and acupuncture. We have an on-site, modern and fully equipped diagnostic laboratory capable of performing a wide range of diagnostic tests delivering accurate, rapid and convenient same day results. 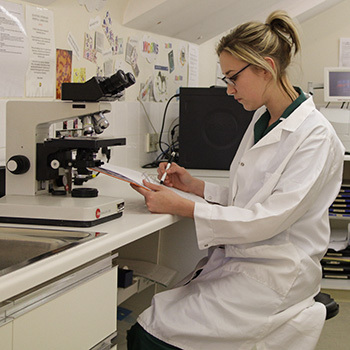 Our diagnostic laboratory machines allow us to test and analyse the biochemistry, haematology, electrolyte and hormone levels of blood samples. Additional laboratory equipment allows us to analyse and examine samples of skin, hair, urine and faeces for accurate and quick diagnosis. We have four distinct kennelling wards allowing for the separation of different animal species. 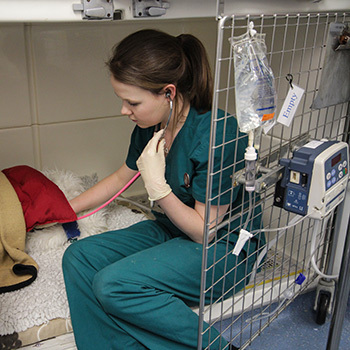 The kennels allow for everything from boarding of recovering animals to the care of emergency and critical care patients. 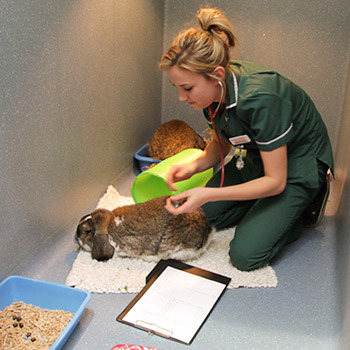 Our kennels for patients pre and post op are spacious with underfloor heating. We have larger, walk-in kennels for medium and larger dogs and separate Isolation Kennels with distinct drainage and ventilation to separate and treat any infectious animals. We have a very extensive Hospital Pharmacy and Dispensary stocked with a comprehensive range of preventive health products and prescription medicines allowing us to offer a convenient and quick pharmacy service to our clients. 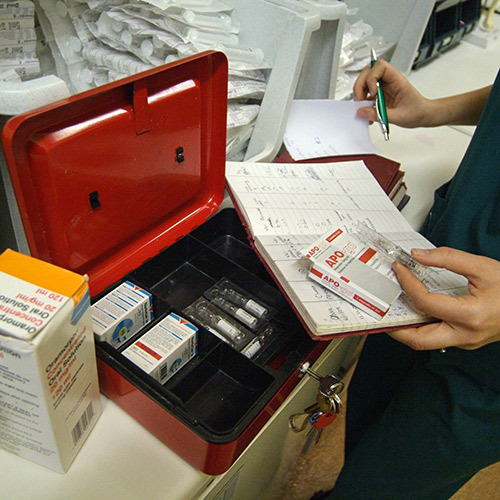 Our pharmacy allows us to prepare, administer and dispense medicines for use during consultations, for hospitalised patients and for clients to take home. As well as several offices we have a large and small meeting room that are used as a staff room, for meetings, training, interviews and special events. Our library and resources room is well stocked with current journals, textbooks and electronic research and training resources, ensuring our staff can research cases, keep up with training and continuing professional development.